Avoid white. This one should be a given. After all, it’s the bride’s day and you never want to distract from her big moment. When in doubt, overdress. A too-formal dress will always be more forgivable than a pair of skinny jeans. Stay away from distracting colors. Neons and overbearing prints are a no-go. Wedding pictures last a lifetime and you don’t want to stand out for the wrong reasons. Mindful fits. A respectful fit and hemline is a must. Showing off your curves is always empowering, but save the body-con dresses for ladies night. Let’s talk style. From beach weddings to formal affairs, the type of wedding always determines the type of dress a guest should wear. But decoding the dress code for an upcoming union can be challenging. In order to help breakdown the do’s and don’ts, I’ve put together a few outfit inspirations, as well as a little cheat sheet to help you decipher the wedding invitation wording and keep you celebrating in style. A long dress or cocktail-length dress in a classic shade, like blue, black or grey, is always a safe bet when it comes to formal events. Keep the fit sleek and clean and avoid anything too bulky or distracting. Remember, it’s the bride’s job to stand out and your job to bust a move on the dance floor. This is one of my personal favorite attire requests. 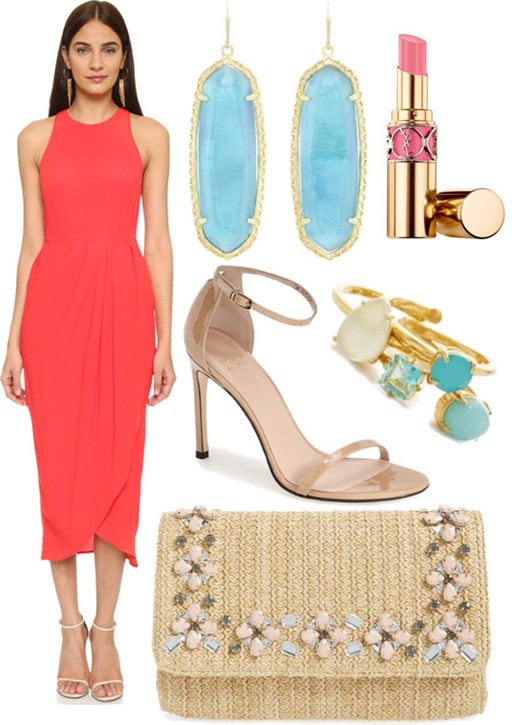 It’s a great opportunity to play with bolder shades and fun accessories, especially for a daytime fete. If you’re feeling a little dress fatigue, a pretty skirt with an embellished top would also work here. Keep it light, whimsical and romantic. Have fun and choose a vibrant shade that complements the summer backdrop. But most importantly: prepare for the elements. Sand, water, and wind have definitely all RSVP’d. Think red carpet! This is your chance to wear a long, sleek evening gown with your fanciest jewelry! Glam it up with rich dark hues like ruby, emerald, navy, and black. 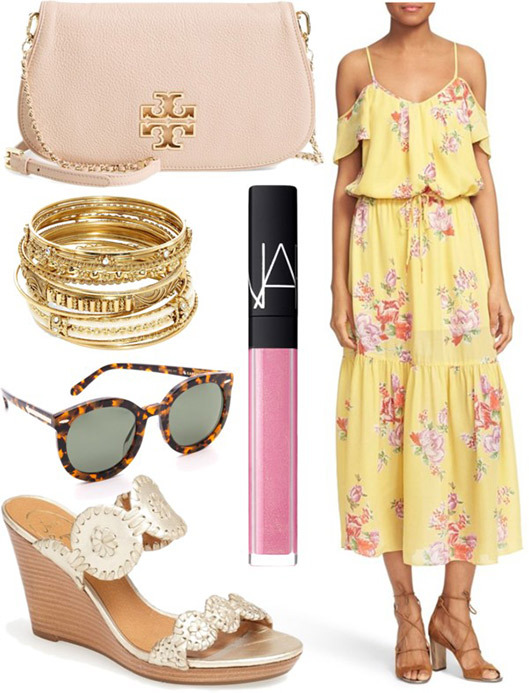 Unless clearly stated, shy away from denim and opt for a simple sundress with your everyday hair and makeup. Casual often means you’ll be outdoors, so be sure to check with a bridesmaid if you’ll be on sand or grass. In either of these cases you’ll want to stick with flat soles, like a beaded wedge or a jeweled sandal. Despite what your grandma may have told you, it’s perfectly acceptable to wear black to a wedding! In fact, many brides request it. When in doubt, throw on your trusted little black dress. The length will keep you semi-casual appropriate, while the classic shade will help blend with everything from semi-formal to black-tie. Which of these wedding ensembles is your favorite?